These crisis communication courses are designed for non-crisis communication personnel who are part of a larger risk management team. In the modern, interconnected world, the job to communicate the right message across does not fall on the crisis communication or corporate communications team alone. Business continuity, crisis management, IT DRP, enterprise risk management and facilities managers are increasingly tasked to assist their crisis communications and corporate communications in formulating these messages across. Singapore’s WSQ Statement of Attainment through any of our crisis communication (CC) competency level course. BCM professionals who would like to gain an understanding of crisis communication and how they can assist their crisis communications colleagues/counterparts and at the same time be internationally certified can look forward to enrolling in any of 4 of our certification courses. This is a 2-Day intermediate crisis communication (CC) course that incorporates CC-200 syllabus on its 1st day. Fundamentals of crisis communication would be taught as well as identifying of key crisis communication messages would be facilitated as well. There is no experience pre-requisite for attending the course. 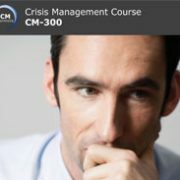 This advanced 2-Day crisis communication (CM) course is a follow up to those who have attended the CC-300 Crisis Communication Implementer course. Here, participants will be taught the intricacies of forming a crisis communication team as well as key message preparation and delivery. A facilitated discussion would also touch on communication with the business continuity strategies and plans. This is the most comprehensive and holistic crisis communication course by BCM Institute that addresses its relationship with BCM plan requirements and their team. It covers syllabuses taught in CC-300 and CC-400 courses. This 4-day course allows newly appointed crisis communcation personnel to have a thorough idea of crisis communication and how to handle appoint and maintain a crisis communication team as well as formulate and deliver key communications messages. For Singaporeans and Singapore PR who would like to take advantage of the SkillsFuture Singapore fundings, they can look into BCM Institute’s easy to digest, bite-sized, 2-day competency-based crisis communications courses. This 2-Day intermediate crisis communication (CC) course takes participants through the fundamentals of stakeholder identification, crisis communication strategies and how it relates to BCM would be discussed. Facilitated discussions would also be made on topics such as formulating and delivering key messages as well as formulating a basic crisis communication plan. This 2-Day advanced crisis communication (CC) course takes participants through media handling techniques, business continuity strategies and plans and how they relate to the crisis communications. Also, the importance of keeping crisis communications records in place, as well as generic templates used for BCM coordinators, would also be shared.